OnFiction: Research Bulletin: Do Spoilers Spoil Stories? 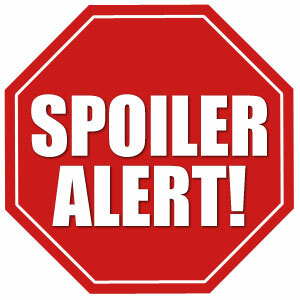 Research Bulletin: Do Spoilers Spoil Stories? We have all experienced a situation in which the conversation turns to a film one hasn’t seen, or a book one hasn’t read. Before you know it, someone has blurted out what happens at the end, spoiling the story for you. The phenomenon is so common it’s spawned the term ‘Spoiler Alert,’ warning readers (or listeners) that unanticipated or previously unknown information about a story is about to be revealed. But does hearing how a story turns out truly spoil the story? A fascinating new study by graduate student Jonathan Leavitt and Dr. Nicholas Christenfeld, both at UCSD, addresses this question. The researchers asked undergraduate students to read different versions of short stories. In one case, the story was spoiled by a preceding introductory paragraph, in another this spoiler paragraph was integrated into the original story so that it appeared to be part of the actual narrative, and a third condition left the stories untouched. The stories employed were written by well-established authors, such as Anton Chekov, Roald Dahl, and Raymond Carver. After reading each story, the students rated how much they enjoyed it. Surprisingly, people enjoyed the spoiled stories over the unspoiled stories. Moreover, this effect was replicated with different types of stories, including stories that contained an ironic twist, mysteries, and what they described as evocative literary stories. Intriguingly, this effect only occurred when the spoiler paragraph was introduced as separate from the story; once the spoiler paragraph was integrated into the story, no differences in enjoyment were observed. The researchers hypothesize that spoilers might help provide an organizing schema for the story information to follow, leading to easier comprehension and greater enjoyment. Spoilers might also increase anticipation for future events, thus increasing pleasure. This is a very exciting study with some clear strengths, including the presentation of published short stories and replication across various story types. Perhaps we should all go back to those stories we’d neglected after someone else ‘spoiled’ them for us! Leavitt, J. D., & Christenfeld, N. J. S. (in press). Story spoilers don’t spoil stories. Psychological Science. * For a copy of this brief and highly readable study, please contact RM (e-mail in profile). Special thanks to Katrina Fong for bringing this article to my attention.